Campers will love this full week of Art Around the World. Students will travel the world seeking new and ancient art forms from different countries. This Full Day Camp provides children with several forms of visual art! Our Student Campers will participate in 3 quality art classes: clay, drawing and mixed media. There is also great educational and game activities between classes. We will have a mini art show on Friday to showcase the art created that week at camp. Classes are organized by age: Mini Monet (ages 6-7) , Petite Picasso (ages 8-9) , Rising Rembrandt (ages 10+). ​ Ages 6 - 14 welcome. Lunch will NOT be provided and camp attendees must bring a bag lunch. Campers will use colored pencils to draw Celtic Knots and Beasties in all different designs. The knots are completed loops that have no start or finish and could be said to represent eternity whether this means loyalty, faith, friendship or love. Only one thread is used in each design which symbolizes how life and eternity are interconnected. Students will draw and color beasties which are small characters and animals that complement Celtic Knots and letters. Students will learn about symbolic designs in the countries of Ireland, Scotland and Wales. Students will learn and create art through various cultures and time periods including Indonesia, Australia and Egypt. Campers will be working with fabric to create a batik design originating in Indonesia. 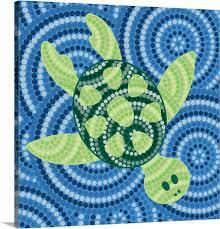 They travel across continents to create dot painting on stones as the Aboriginal people did thousands of years ago. 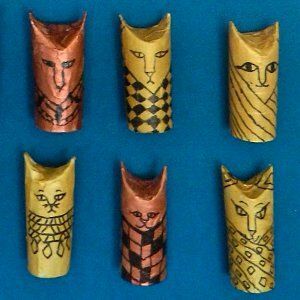 Students will cruse the Nile to arrive in Egypt and learn to make Canopic Jars which hold Hieroglyphics scrolls. Campers will tour the globe and create wonderful art! All campers will relocate to the Antarctica for a tour to create an igloo scenery with seals and Eskimos out of clay. Once the ice breaks, students will fly to Africa to the Serengeti and hand build a safari scene with elephants, trees and other Africa animals. Students will utilize their motor skills in clay to mold their creativity and create scenes from different locations around the world. ﻿Call (706) 632-2144 for questions regarding this course and registration. Payment is required to register for BRMAA courses. You may pay via over the phone or visit The Art Center located at 420 West Main Street, Blue Ridge, GA 30513 to pay in person. The Programming Coordinator is in the office from 10 am - 6pm on Wednesday, Thursday, Friday, and Sunday.